During WWII the German military, or Nazis, wanted a new military pistol to replace the WWI Luger design. Three (3) gun manufactures made eight (8) different models, each model starting with an original 1 serial number. Carl Walther made 5 models, Mauser-Werke made 2 models and Spree-Werke made 1 model. 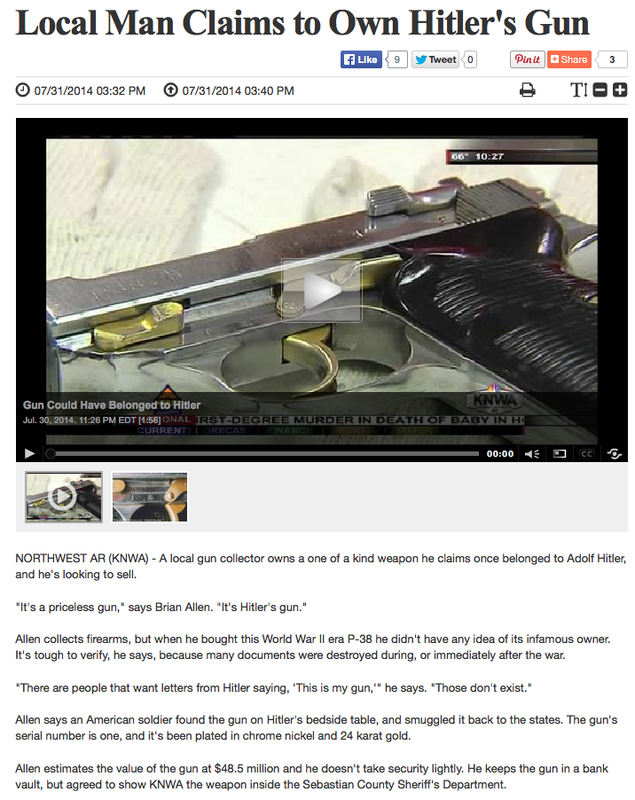 The AC was the code the Nazi's gave Carl Walther, the 43 means it was made in 1943. The original #1's do not have a letter after the serial number. After every 10,000 guns the Nazi's started back with the #1 but added a letter, such as 1A, 1B and so on. For any make or model the rarest guns available are the number 1 serial numbers because there is only one and they are seldom for sale. Most are given to someone very important. As is the case with this gun. It is believed that the original 8 number ones were presented to Adolf Hilter, along with dozens of presentation and fully engraved guns. Please see "History" for more information.